Shopping for a new phone online. The day starts out so ordinary. It’s raining out the window. The air feels different today, the rain transforms it. Not only does it feel more humid, but somehow it feels magic. It gives me power, to think differently about circumstances, to chin up. Ironic, isn’t it? Most people associate rain with gloominess. I associate it with magic. Especially this summer, where it hasn’t rained hardly enough. It’s a crazy thing– last year it felt like June was a monsoon, and this year it has been sunny almost every single day. I remember longing for the sun last summer, lost in the raindrops. Rain takes an ordinary day and transforms it. I still have to go to work today, but I feel different. I don’t have as many days left here as I thought I did. Paying rent for my new apartment reminded me of that. I guess I should use the magic of the rain to motivate me to get things done to prepare for the next chapter of my life. 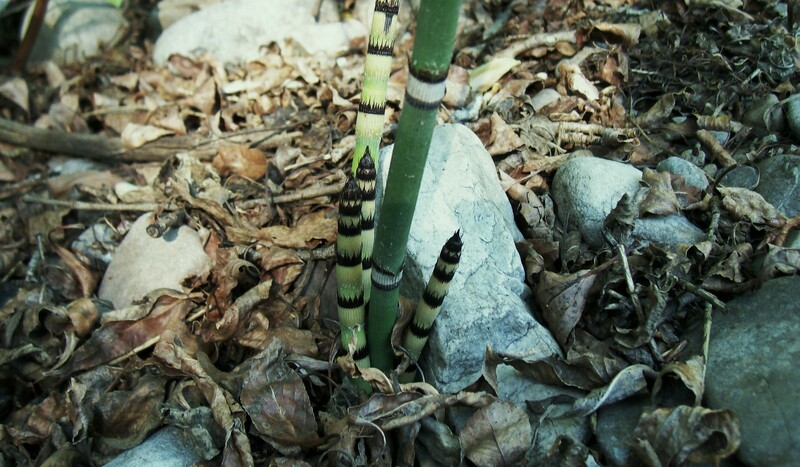 This entry was posted in Art, Creative Writing, Daydreaming, Deep Thought, Nature, Philosophy, Photography, Uncategorized and tagged association, equisetum hyemale, extraordinary, ferns, jointgrass, life changes, magic, ordinary day, rain, snakegrass, transformation. Bookmark the permalink.